Big Blue center offers windsurfing, mountain biking, sea-kayaking, SUP and many other activities. 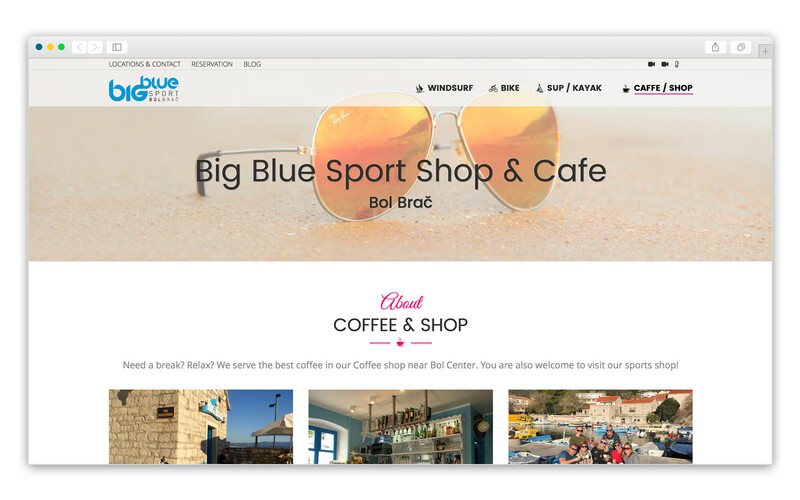 For Big Blue center we have visually and technically updated their website. The new website runs on WordPress platform and is modern designed and optimized for all devices. 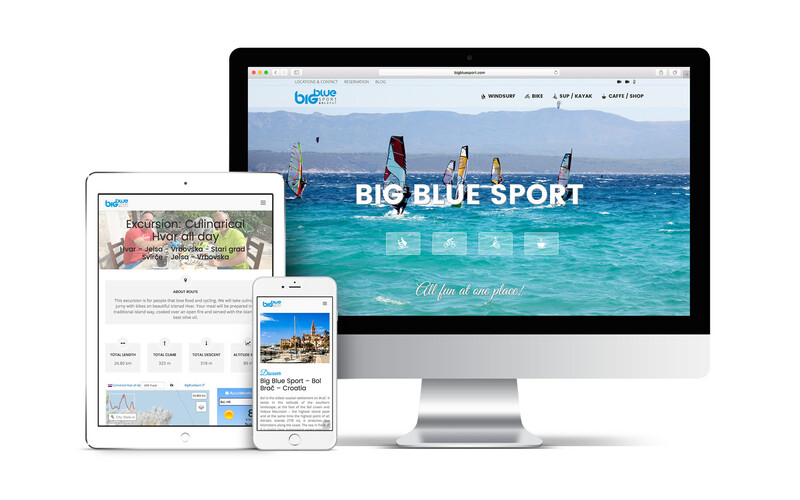 Because Big Blue offer a lot of activity we have parted them in 4 different categories and represent them with beautiful images and great offer. 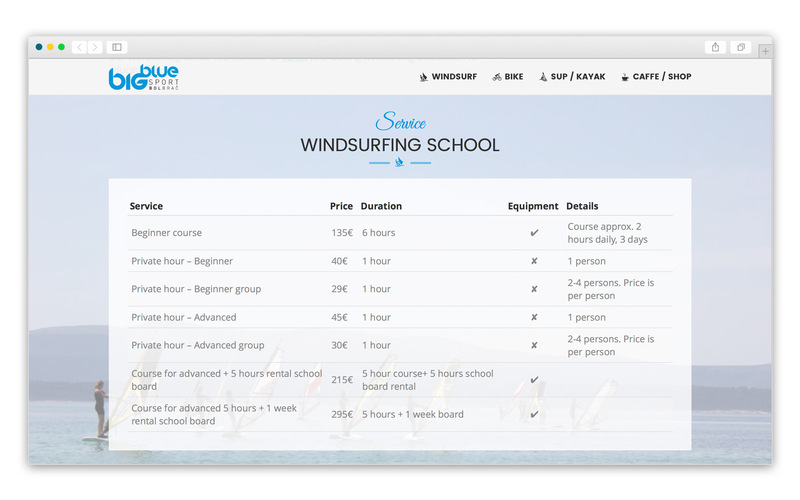 We have also implemented new reservation system with Checkfront. With the new digital system, they can easily track all reservations and rentals. PreviousPrevious project:ClicData – SURF D.O.O.NextNext project:BOX – Content managment – MM PRO AKTIV d.o.o.